Have anyone read a good Bowie biography? I’ve only read Loving the Alien by Christopher Sandford, a book I found very informing and interesting, although perhaps a bit dry at times. Have anyone read other biographies? Alternatively, are there other non-Bowie (auto-)biographies that contain interesting information to a Bowie-fan? Keith Richards’ “Life” perhaps? - Slash’s mother, Ola Hudson, was Bowie’s costume designer (on Young Americans, Station to Station, and The Man Who Fell to Earth), and the two also had an affair for a while. Slash and Duncan Jones used to have play-dates while their parents worked. - Once when Bowie (and Ola) came to see Guns n’ Roses play, Axl Rose abused Bowie from the stage because he had got it in his head that Bowie had stolen his then girl friend Erin Everly. - When Slash began loosing touch with reality due to his drug addiction, Ola made him call Bowie up and ask for advice to kick his habit. Macarawni, did you ever get to read any of those biographies? Ladymoondust, I have put Strange Fascination on my wish list. It seems it gets both very strong and quite poor reviews, but this is usual with everything db. I mean, some of the reviewers out there are pretty damn lame! @angelman yup the read the biography "Bowie by Mark Spitz" i would say that it was pretty good, considering the length of the book it can get a little dry at some parts. Whats cool is that the auther is a huge bowie fan himself, but this means that he tends to rant about his favorite parts ocasionaly. 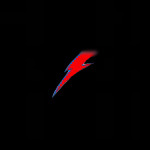 But overall Mr. Bowie is a VERY interesting person and had the most intreaging life. Its a MUST-READ. sorry i hadnt reviewed it earlier! i got so caught up in my life that i forgot this forum existed... : ( sorry! I'll be sure to pick up that book some time, it sounds nice! Recently, I was reading over this one Bowie biography I found in Borders focusing on his life and music before and during the Berlin Trilogy era. I learned a lot. I forgot the name though. I didn't buy it though as I didn't have the money haha. Oh I was reading through that one on Borders (R.I.P.) the other day. I read Angela Bowie's "Backstage Passes" (http://www.amazon.co.uk/Backstage-Passes-Life-David-Bowie/dp/0815410018/ref=sr_1_1?s=books&ie=UTF8&qid=1312218025&sr=1-1) and Dave Thompson's "Hallo Spaceboy: The Rebirth of David Bowie" (http://www.amazon.co.uk/Hallo-Spaceboy-Rebirth-David-Bowie/dp/1550227335/ref=sr_1_1?s=books&ie=UTF8&qid=1312217919&sr=1-1) during my vacation in England. The first book is Angie's tale about her life with her ex-husband, and despite the often gruling reviews this book gets, it was rather good actually. It isn't actually a book about db, but more Angie's autobiography (entire chapters go by without db making an appearance), although she does offer a unique insight into the Bowie she knew back in the 70s. I found her vulgarness and sometimes self-absorbeness to be a bit annoying at times, but this book is well worth reading. The second book is about db's career from 1987 to 2006, and is a very good biography of a period that is mostly glossed over by other biographies. I liked this one very much, especially since it complements other db biographies so well. If you're at all interested in Bowie's 90s-early 2000s, THEN READ THIS BOOK!